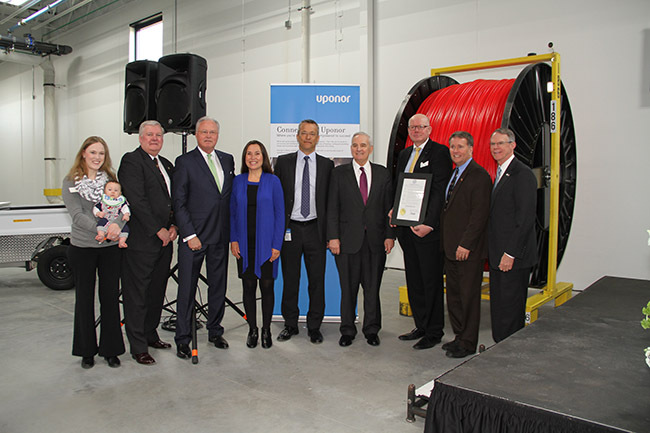 Apple Valley, MN, May 17, 2016 — Uponor North America (Uponor) held a ribbon-cutting ceremony to celebrate the official opening of the company's ninth expansion in Apple Valley and the 11th in the greater Twin Cities area. With this expansion, the North American headquarters in Apple Valley, along with the company's distribution center and resin-processing center in nearby Lakeville, brings the total Twin Cities metro area footprint to 656,738 square feet on approximately 50 acres. The new facility will provide 82 new jobs to the local economy. For editorial assistance, contact John O'Reilly or Tony Bara, c/o GreenHouse Digital + PR at (815) 469-9100; e-mail: john@greenhousedigitalpr.com; tony.bara@oreilly-depalma.com. Gov. 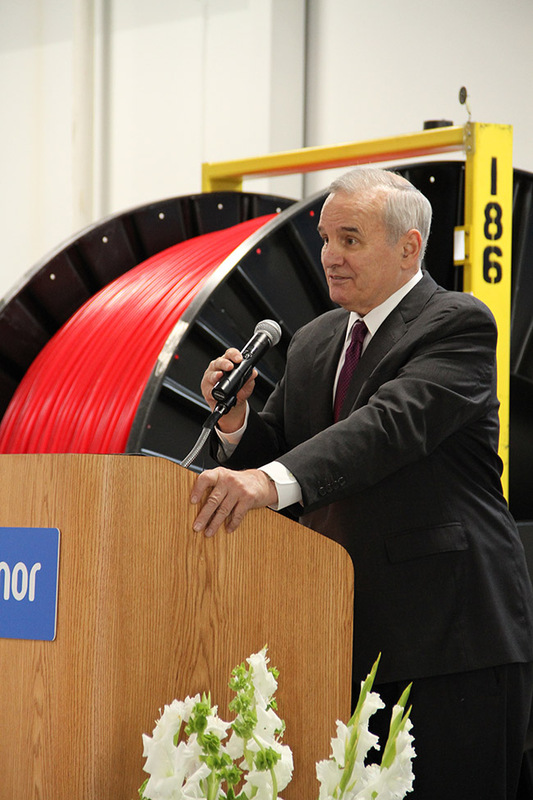 Mark Dayton proclaimed May 16 Uponor Day in the State of Minnesota. 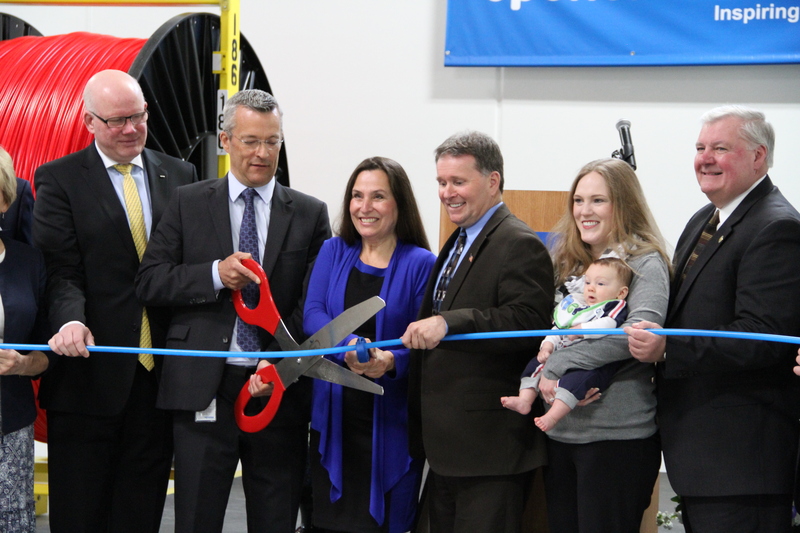 The company's $18M expansion in Apple Valley, Minn. will provide 82 new jobs to the area.